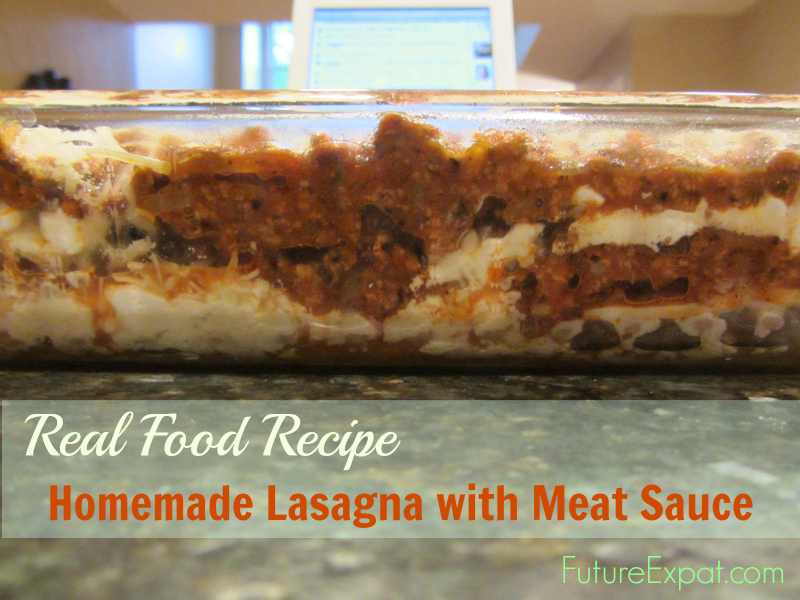 With cold weather season back, lasagna is the perfect meal that will make everyone happy. 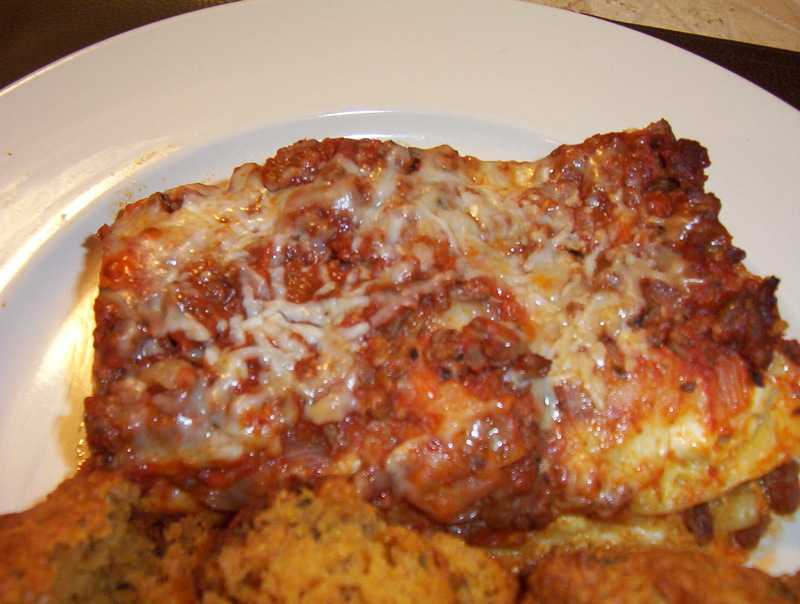 While lasagna initially may seem like a complicated dish to make, it really isn’t very hard and comes together easily. Yes, it does take some time to prepare, but most of that time is waiting for the sauce to develop it’s full flavor while simmering and then waiting for it to cook after you pop it into the oven. It really doesn’t take all that much time standing in the kitchen to make this recipe. Once you try making lasagna from scratch, you’ll never go back to processed jar sauce again! 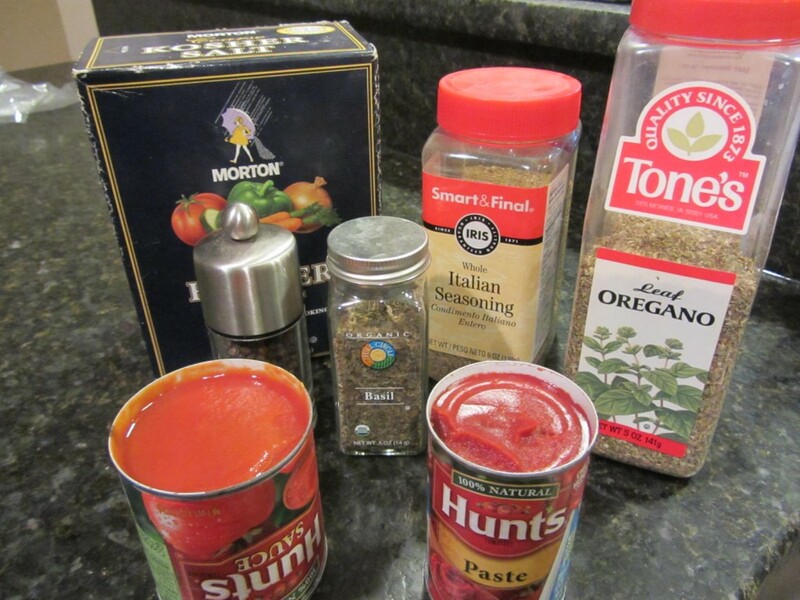 It is so much healthier when you start with basic plain tomato sauce and paste, and then add your own spices. And it tastes so much better too. Making the sauce from scratch doesn’t mean that the recipe is hard. You simply get the sauce started and while it is simmering, you then pull together everything else so it is ready to go as soon as the sauce is finished. Here are the directions in pictures…then pop to the bottom of the post to see nutrition information (click the + for more info) and to easily save or print the recipe. 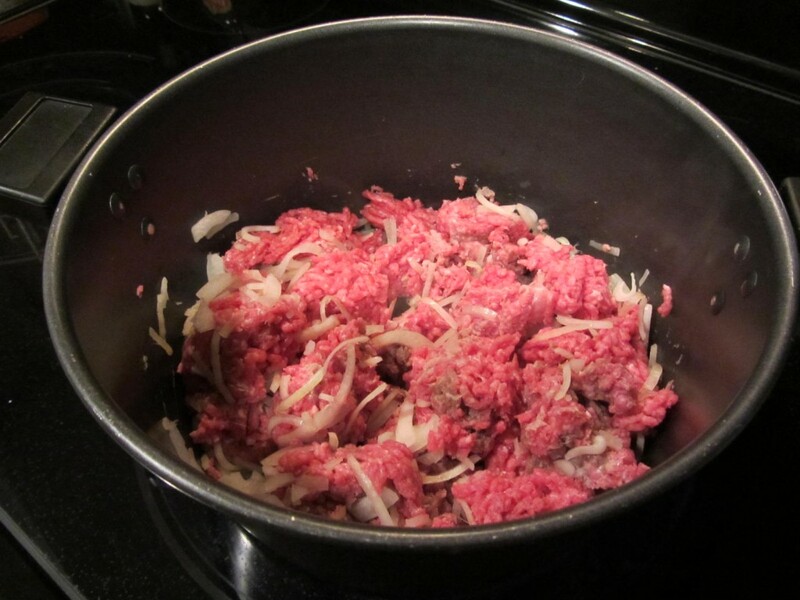 Start by browning the ground beef. Crumble it up and place it into a large pot with onion. This is the same pot you are going to use to make the sauce, so be sure to use a large pot or you’ll be washing an extra pot. Usually I chop up the onion…but as you can see from the picture above, I was using up some leftover raw onion I had cut in rings for burgers. I did chop them up a bit…probably not as much as I should have…but it didn’t affect the flavor in the end. So cut up the onions big or small…your call. 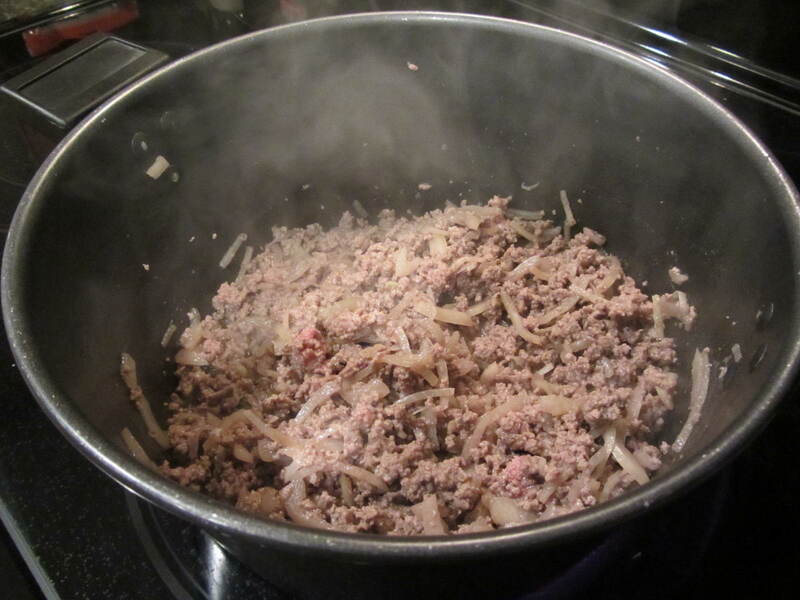 Once the meat is no longer pink, pour it into a strainer to drain off the grease and then put it back into the pot. Open up your cans of tomato sauce and paste and pour them both into the pot with the meat. Then fill each can with water and add that to the pot too. Add the garlic, salt, pepper, basil, oregano and Italian seasoning. 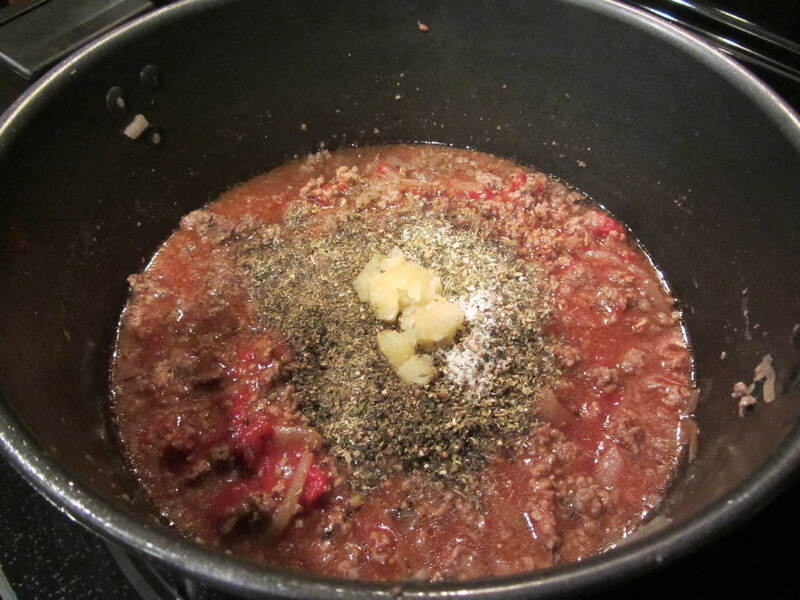 Give it a good stir and cook the meat sauce over low heat for 45 minutes or more. After about 20 minutes, taste the sauce and add more spices as needed. About 20 minutes before you are ready to assemble the lasagna, bring a large pot of water to a boil. 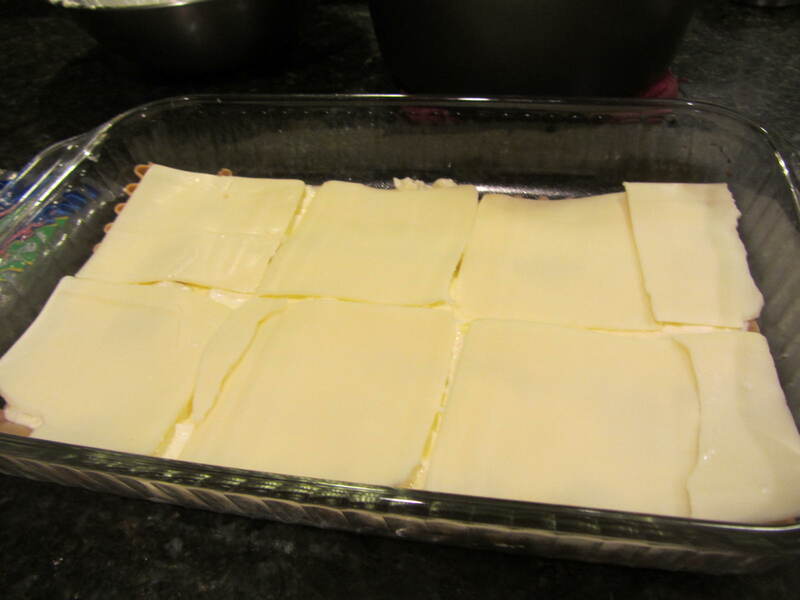 Add lasagna noodles, laying them flat. Do not break the noodles. If they don’t fit all of the way into the pot, that’s ok. After about 1 minute they will be soft in the middle and push them down with a large cooking spoon until the ends are in the water. Cook the noodles in boiling water according to the package directions and then drain. While the noodles are cooking, mix the eggs and cottage cheese in a medium bowl, and spray a 9 x 13 glass baking dish with cooking spray. 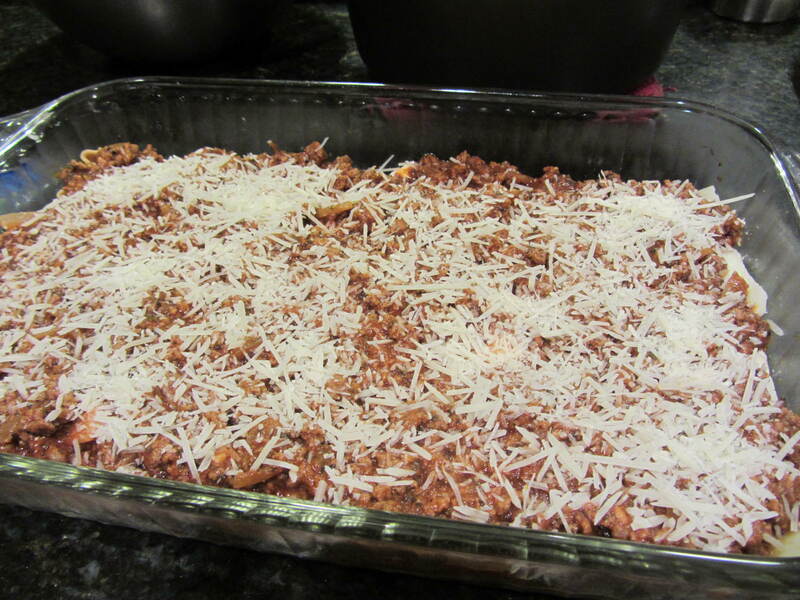 Gather up all of your ingredients – meat sauce, cottage cheese/egg mixture, noodles, mozzarella cheese and Parmesan cheese. 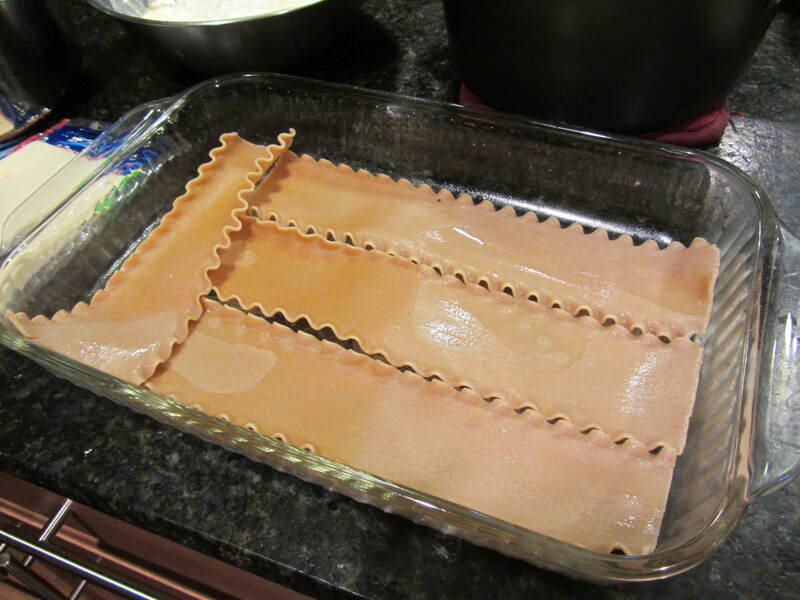 Place a layer of noodles on the bottom of the pan, cutting them to fit so they do not overlap. 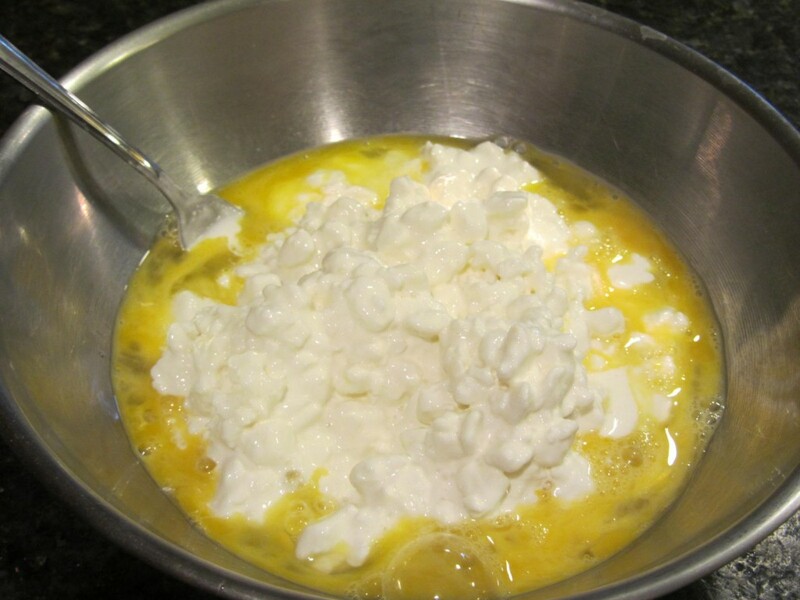 Spread 1/2 of the cottage cheese – egg mixture over the noodles. Place a layer of mozzarella cheese on the cottage cheese, cutting the cheese as needed to avoid overlapping. I really encourage you to go with sandwich style cheese slices…not shredded cheese. First of all, the shredded cheese is coated with flour and other ingredients to keep it from sticking together, so it isn’t as healthy as going with the sliced cheese. 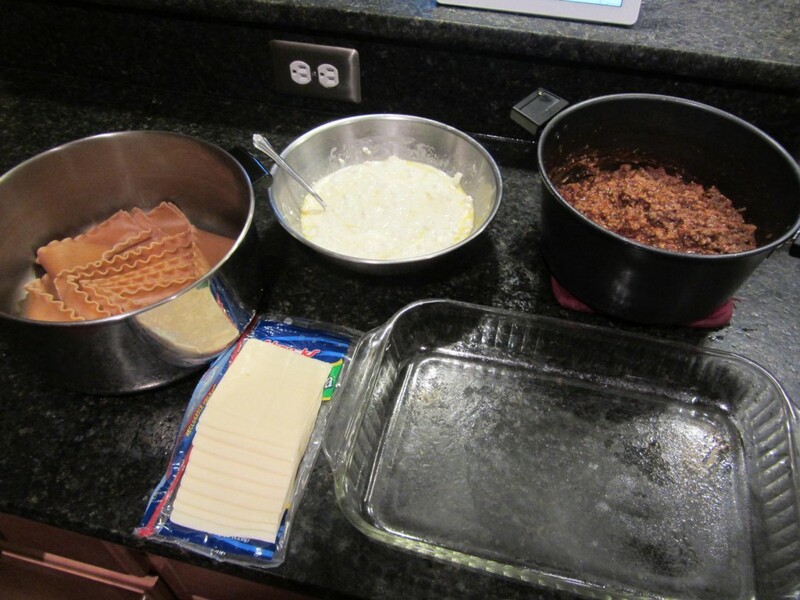 Plus, it’s MUCH easier to spread the meat mixture on the cheese slices than it is over shredded cheese. Trust me on this. 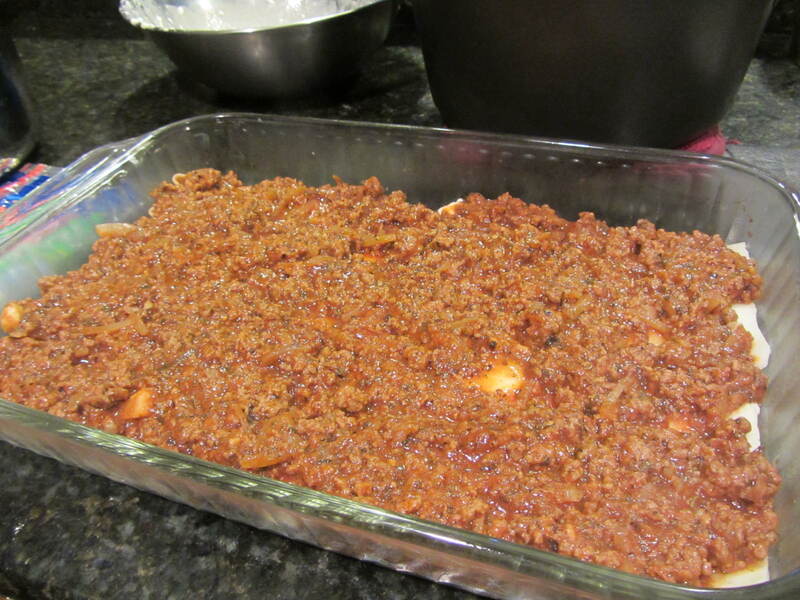 Spread 1/2 of the meat sauce on top of the mozzarella cheese. Sprinkle with 2 oz Parmesan cheese. I really prefer the shredded cheese rather than the Kraft green bottle Parmesan cheese that doesn’t taste like real cheese…but use what you prefer. 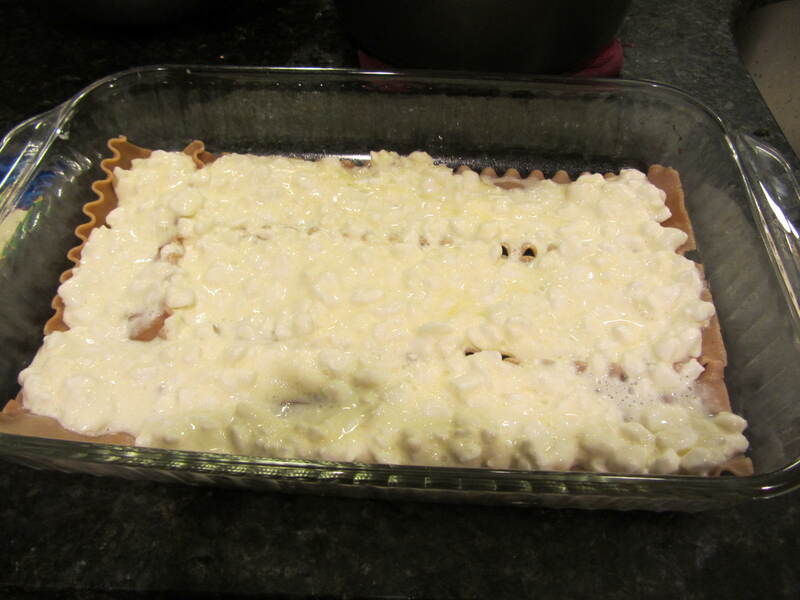 Repeat the layers (noodles, cottage cheese, mozzarella cheese, meat sauce and then Parmesan cheese). Bake at 350 degrees for 45 minutes. Let it sit for a few minutes after you take it out of the oven to solidify before cutting and serving…the liquidy part of the sauce will soak into the noodles and you won’t get a puddle of liquid on the plate.